About the theme - here on my holidays in Poland- the garden is surrounded by mosquitoes and they really 'bloody' love my wife and me. I thought I would have my revenge with painting a good mosquitoes hunter. If only I could have fairies like this, the garden would be here a real paradise. Full of blood females mosquitoes are surely full of protein. License: CC-BY-NC-ND David Revoy, www.davidrevoy.com, 13 august 2010 . Your work is amazing, as always. The wings configuration somehow disturbs me. Apart from that, it's a very pleasant work :-) color balance is just right, but this time you did not use a lot of complementary colors... is this because you aim at a "book cover" and the title should be the complementary set of colors? 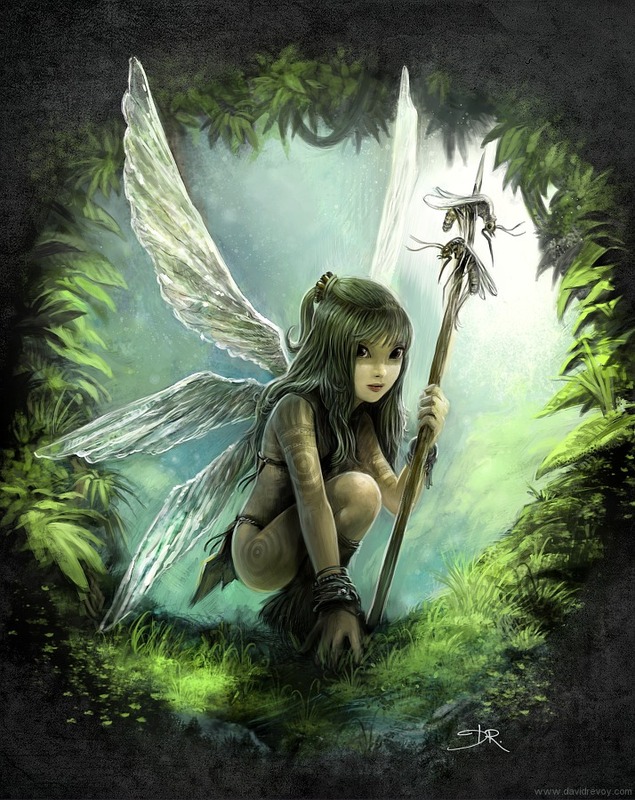 I love the concept of a mosquito hunting fairy! More about that visit in Poland. Only mosquitoes? What about pierogi and bigos? Have you tried bigos? It would be great if some of your work was charted for cross stitch embroidery. They are so lovely and would be a pleasure to stitch. I wish I had an ounce of your artistic talent!